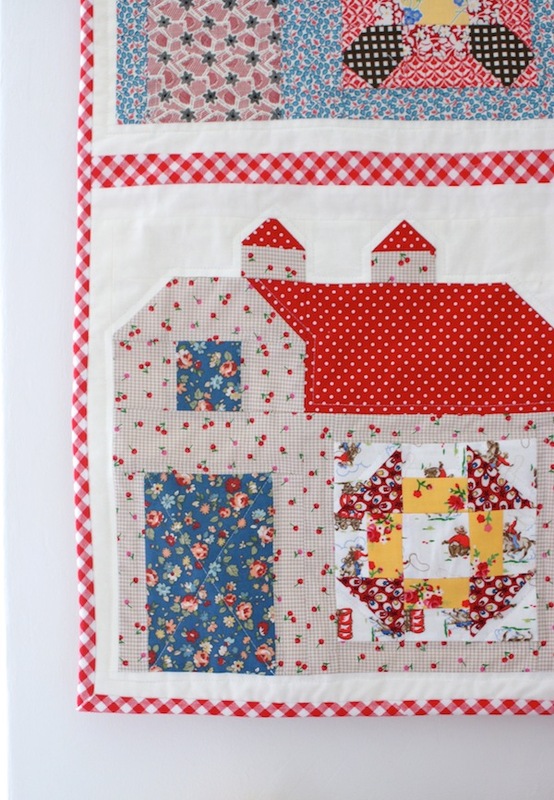 MessyJesse - a quilt blog by Jessie Fincham: Quilty Barn A-Long Complete! I also had a major clean up in here over the weekend too, it was quite a task! I've managed to clear out a whole IKEA expedit unit to free up some much needed space, so the new mini quilt does a perfect job to brighten the place with all my new wall space! It hangs perfectly above my fireplace and shelf of cute things :) Yes, I collect felt and crochet cakes!! 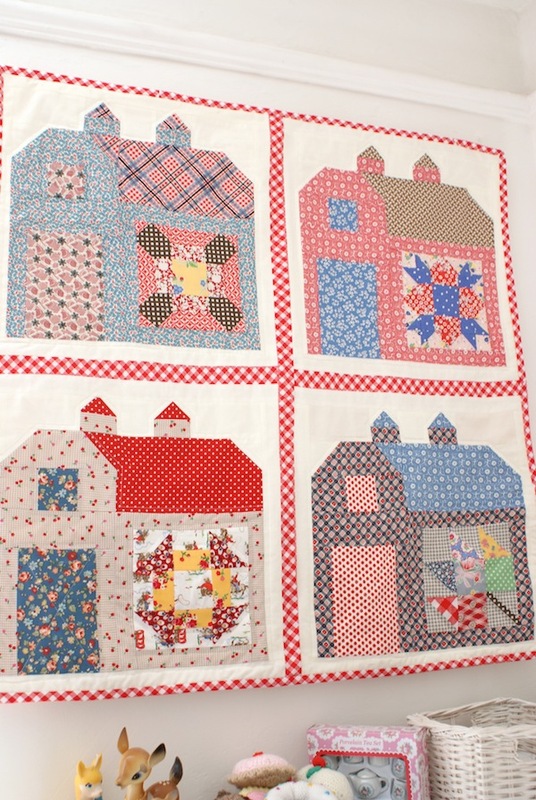 Though I do love all the fabrics, they play so well together :) and the blocks were so fun to make, they've got me itching to catch up on my farmers wife block too! 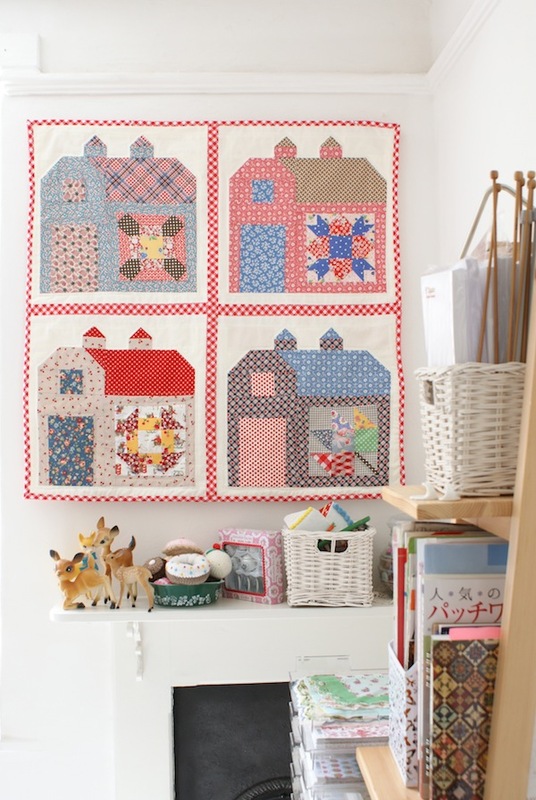 It's the perfect complement to your space!Love the gingham sashing and binding. Beautiful! You always pick the best fabrics to go together. The red gingham just looks the business. It all looks lovely ... great job! Wow what a beautiful creation. I just love it. I can feel the need to make one already. 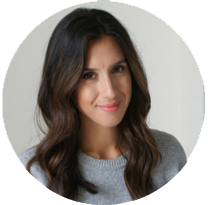 Thanks for such fab inspiration.